He was born in 1977 in Nisêbîn (Nusaybin) town of Mêrdîn (Mardin) Province. 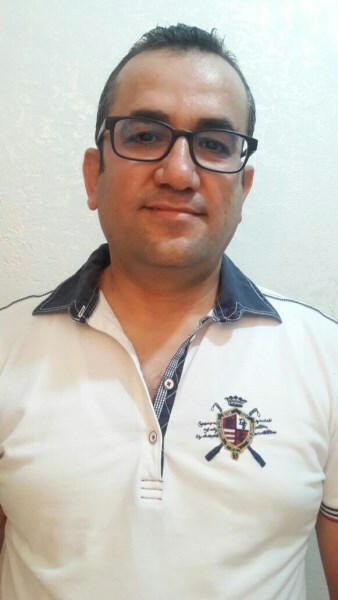 Having attended primary, secondary and high school in Nusaybin, Aydin Rengîn graduated from the Department of Biology at Van Yüzüncü Yıl University. He participated in research on the flora and fauna of Van. He attended national and international biotechnology assemblies with his studies on edible mushrooms, stinging nettle and sîrmo (wild garlic). He studied English in Istanbul, after which he taught English. His translations of short stories from foreign literatures have appeared in the magazines such as Nûbîn, W, Tîroj, Tabularasa and Hawara Botan. Additionally, he has translated numerous films, documentaries and cartoons into the Kurmanjî dialect of Kurdish. He has studied Kurdology, practical English and translatorship at Mardin Artuklu University. Rengîn lives in Mardin.